Please read these terms and conditions carefully. They govern the use of this website and provision of St. George Web Design’s services described on this page, acceptance of which constitutes a legally binding contract. By accessing the St. George Web Design website, you acknowledge and agree that you have read, understood, acknowledged and agreed to be bound by all the terms and conditions of this Agreement. These terms and conditions regulate the business relationship between you and us. When you buy from us, you agree to be bound by them. “Services” means the services that we currently offer, details of which are on the St. George Web Design website and the services to be provided by St. George Web Design to the client as specified in the Web Agreement. “Client” means the company that enters into an agreement with St. George Web Design, its employees, agents, representatives and sub- contractors, to whom the Service is provided as set out in the Web Agreement. “You” means any visitor to a website www.stgeorgewebdesign.com.au and/or a client of ours . “Website” means the area on the server allocated by St. George Web Design to you for use by you as a site on the Internet. “Secure Web Page” means the web page operated and located on the server which allows you to collect credit card details in a means that is difficult for other people to view the page when it is loaded, because the page is encrypted. “Search Engine Optimisation” means any service which is designed to assist your website gain a higher listing in the search engine results. St. George Web Design offers Web design/development and internet marketing services that include, but not limited to: search engine optimization (hereinafter “SEO”), Facebook and other Social Media, Link Building etc. We also offer domain name registration, web hosting, email and Secure Web Page services. All quotes supplied by St. George Web Design are valid for 7 days from the date the quote is provided. St. George Web Design may amend this provision during promotional periods. Acceptance can be provided in writing, via electronic mail, in writing or via fax. St. George Web Design will send client an email requesting additional information for the project brief. We will commence work within fourteen (14) days after the date of receipt of information. St. George Web Design is not liable for delays to project or anticipated time-frames for delivery of service. Client acknowledges that St. George Web Design will add an “Website Design and Local SEO” by “St. George Web Design” link to the footer section of each website they work on. This is St. George Web Design’s branding and to remove it will cost $250. St. George Web Design shall provide the services during the continuance of this Agreement. St. George Web Design will use reasonable efforts to provide client with the services in accordance with the estimated timeline set out in the Web Agreement. Where the service being provided requires, St. George Web Design will liaise with the relevant web agency, hosting company or other third party in order to provide the services. St. George Web Design will not make changes to or update a client’s website prior to written or verbal consent from the client, stating that St. George Web Design have the right to make the agreed changes and the client, as the website owner, agrees to and takes full responsibility for those changes being made. In order to use the St. George Web Design website, we may require information from you in order to provide the best service possible. All correspondence may also be collected and stored, particularly in regard to sales, support and accounts, including email. Any information collected by St. George Web Design is collected via correspondence from you or your company. This may be via the telephone, email, mail, fax or directly through our website. You agree that you have provided, and will continue to provide accurate, up to date, and complete information about yourself. Client will provide St. George Web Design with reasonable direct and remote access to its website, and shall provide such other reasonable assistance as St. George Web Design may request, including, but not limited to, providing source code and other statistical, diagnostic information and other relevant information required to enable St. George Web Design to comply with its obligations under this Agreement. f) content does not contain viruses or other computer codes, files or programs which are designed to limit or destroy the functionality of other computer software or hardware. St. George Web Design reserves the right to refuse any content it considers to be in contravention with any of the above statements. Client acknowledges that copyright to any stock imagery or photography used on client’s websites is retained by the owner. Client acknowledges that such images can therefore not be used or re-used for any other purpose and can only be used as they were placed onto your website by St. George Web Design. Any editing of the dimensions in which they appear may contravene their usage rights. Any details collected from St. George Web Design customers is required in order to provide you with our products and/or services, and a high level of customer service. Correspondence is recorded in order to provide service references. If you use the website we designed for you, you are responsible for maintaining the confidentiality of your account and password and for preventing any unauthorised person from using your computer. You agree to accept responsibility for all activities that occur under your account or password. You should tell us immediately if you believe some person has accessed your account without your authority and also log in to your account and change your password. All copyright and other intellectual property rights in any work created, commissioned or otherwise acquired by St. George Web Design during the implementation of any contract between St. George Web Design and client shall remain with St. George Web Design until full payment has been received. Upon full payment, St. George Web Design hereby agrees to transfer to the client all rights title and interest in the copyright and other intellectual property rights in all artwork, manuals, information, material reports, source code and other output which is produced, extended or modified during the production of the work outlined. If you purchase a product or service from St. George Web Design, we may request certain personally identifiable information from you. You may be required to provide contact information (such as name, email, and postal address) and financial information (such as credit card number and expiration date). We use this information for billing purposes only and to fill your orders. If we have trouble processing an order, we will use this information to contact you. Client agrees to pay for the SEO services full amount of the agreed monthly fee prior to the commencement of work/SEO process. St. George Web Design will commence the SEO process withing 24h after the payment for this service has been received. Client agrees to pay the monthly charge for the SEO services, from the PayPal account or credit card, information for which client has or shall supplied to us.  Client authorises St. George Web Design to arrange withdrawal of funds on this card each month for SEO services without further reference to the client. Client agrees to pay for the website design service 50% deposit upfront, prior to the commencement date that is stated in the Web Agreement, unless otherwise agreed at St. George Web Design‘s discretion. The remaining amount 50% must be paid immediately after the design process is completed and client’s website is published on the Internet. Invoices are payable within seven (7) business days from the date of the invoice. For returned cheques due to insufficient funds, St. George Web Design reserves the right to request alternate payment method. If payment has not been received after 21 days, this will result in termination of our services and any design, links and SEO work will be removed. Cancelled accounts cannot be reactivated and any account history or information will not be retrievable. No refund will be given thereafter. Client agrees to pay a “maintenance fee” which is a charge for any further work that St. George Web Design performs on client’s website after the website has been published on the Internet. An hourly rate shall be stated in the Web Agreement. Invoice will be issued to the client for this service and client must pay this immediately. If the payment has not been received within a further 14 days, St. George Web Design will remove the client’s website from the internet until payment has been received. The Initial Term for the Agreement for Services shall continue as follows unless otherwise mutually agreed upon in writing: 180 days for search engine optimization contracts and 21 days for Website Design/Development contracts. Following the Initial Term, SEO Agreement shall renew at the end of each 30-day period for a successive 30-day term unless either party provides a minimum of 7 days written notice of its intention not to renew or if both parties agree to enter a new contract term for a determined time period. Client must provide St. George Web Design with a written cancellation request. Cancellation becomes effective on the day processed by St. George Web Design. Client will be notified of the cancellation via email. St. George Web Design does not offer any refund policy on provided SEO and web design/development services. St. George Web Design agrees to design and develop a website at client’s request and will deliver the work by to the agreed specifications in the Web Agreement. Client is solely responsible for preparing and posting detailed descriptions of each of its web design projects, including providing samples illustrating client’s creative brief (“samples”), site structure, number of pages required, the applicable deadline, and other relevant terms and conditions. Client agrees to provide information to St. George Web Design within thirty (30) days of signing the Web Agreement. Client agrees to supply St. George Web Design with adequate photography or imagery to use in the design; or St. George Web Design may recommend a stock photography bundle to suit the project. Client acknowledges that an additional fee may be assessed for any stock photography we acquire. Client agrees that if it fails to deliver information or content to St. George Web Design to enable development work to commence within thirty (30) days, that St. George Web Design may at its discretion consider the project cancelled. Client also agrees that no refund would be payable under this circumstance and will not hold St. George Web Design liable for subsequent breach of this Agreement. St. George Web Design will send client a “Web Draft” once work is completed. Client agrees to review and test website for grammatical, spelling, graphical errors and coding bugs. Client hereby agrees that it is their sole responsibility to notify St. George Web Design of any such errors during the revision cycle and before the final files have been generated. Client agrees to provide feedback and revisions to St. George Web Design within seven (7) days after receipt of the draft. St. George Web Design agrees to resolve any errors or implement revisions requested by client. Client agrees that a maximum of one (1) revision is available. Client hereby acknowledges that St. George Web Design is not responsible for any errors, grammatical or otherwise found in submitted material client provides towards the development of the website. Client agrees that they are responsible for reviewing the final draft for accuracy to include spelling and grammatical errors, statements and assertions. St. George Web Design is not liable for errors discovered after publication. Client acknowledges that any change requests after final approval has been given to St. George Web Design or after website is published on Internet, that St. George Web Design reserves the right to require client sign a new contract and pay any subsequent fees. St. George Web Design will not commence work on subsequent change requests until full payment has been received. Client acknowledges that Search Engine Optimization (“SEO”) is governed by many factors which are outside the direct control of St. George Web Design. Search Engines are third party systems with unknown variables, algorithms and indexing decisions that can change at any time and without notice over which we have no control. St. George Web Design will use best efforts, techniques and accepted standards to improve Client’s Search Engine Ranking but cannot guarantee of #1 ranking of Client’s website on any major Search Engine using Client’s desired keywords. Client further acknowledges that the website’s ranking with a particular Search Term will rely on both the relevancy of that term on your pages, and the popularity of that term on other websites. Client further acknowledges and understands that a website’s rankings may go backwards. Client agrees if this were to happen, no liability will be on St. George Web Design and no refunds or discounts given. St. George Web Design is not responsible for changes made to the website by other parties that adversely affect the search engine rankings of the Client’s website. St. George Web Design is not responsible for the Client overwriting St. George Web Design’s work to the Client’s site. (e.g., Client/webmaster uploading over work already provided/optimized). The Client will be charged an additional fee for re-constructing content. a) duplicate sites, duplicate content or pages, redirects or doorway pages. b) link farms or any spanning techniques which may harm the web site’s ranking with Google. Client’s website should be hosted on a reliable server, based in the country of Search Engine interest, with constant availability, for optimum results. St. George Web Design may recommend changing client’s host or server, in order to protect the interests of your web site’s ranking within the Search Engines. St. George Web Design offers no guarantees to interruption of hosting services and cannot accept liability for losses caused by the unavailability, malfunction or interruption of this service. Client may elect to host their website with St. George Web Design for an additional annual fee. Client agrees to pay the annual hosting charge in advance of commencement of hosting services. Client acknowledges that St. George Web Design may from time to time be required to perform maintenance, upgrades or replacements to servers. St. George Web Design reserves the right to suspend access to such server during the required time to do the maintenance, upgrade or exchange the server. In this event, St. George Web Design will notify client via e-mail at least 24 hours before the due date and time for maintenance. Client is responsible for acquiring and purchasing a domain name. St. George Web Design may at its discretion advice client on suitable names. If client agrees to give permission to St. George Web Design to register domain name on client’s behalf, St. George Web Design does not take any responsibility for registration of incorrect domain name or any spelling mistakes provided by client in the Web Agreement. Client hereby acknowledges that St. George Web Design is not responsible for any errors, grammatical or otherwise found in submitted material client provides towards the domain name registration. In order to register a domain name for you, you must comply with the following – Australian registered company or business with a registered business number (ABN, BRN, BN). You will need to supply this number during the order process. We hate spam as much as you do and for this reason St. George Web Design will never share your personal information with a third party – we respect your privacy. Clients agrees to give permission to St. George Web Design to create accounts for their business on Facebook® and/or Social Media sites including but not limited to Twitter™, YouTube™, Google+™ and LinkedIn™ per the agreed specifications set out in the Web Agreement. Client agrees to provide St. George Web Design with information within seven (7) working days after the Commencement Date and further agrees that they will comply with any technical specifications provided to the customer by St. George Web Design. Client agrees that any images/text will be supplied to St. George Web Design, we do not take responsibility for images provided to us by client. Client acknowledges that if images are not provided, additional design fees may be payable. St. George Web Design will include these additional fees on the invoice. Client acknowledges that Facebook and other social media sites reserve their own rights and terms & conditions. St. George Web Design cannot be held liable for publishing content provided by client on third party websites. St. George Web Design is not liable for third party websites decisions and no refund will be payable for these services. St. George Web Design shall not be liable for any act or omission by the relevant web agency, hosting company or other third party, if such act or omission results in St. George Web Design breaching its obligations under this Agreement. St. George Web Design reserves the right to disclose your personally identifiable information as required by law and when we believe that disclosure is necessary to protect our rights and/or comply with a judicial proceeding, court order, or legal process served on our website. St. George Web Design uses the PayPal Payment for its online credit card transactions. PayPal processes online credit card transactions for thousands of Australian merchants, providing a safe and secure means of collecting payments via the Internet. All online credit card transactions performed on this site using the PayPal method are secured payments. Payments are fully automated with an immediate response. By using PayPal, your complete credit card number cannot be viewed by St. George Web Design or any outside party. More information can be found on www.paypal.com/au. If you have any questions regarding our security policy, please contact us at websales@stgeorgewebdesign.com.au or call (02) 9099 8025. St. George Web Design does not offer refunds under any circumstances. Client must pay 50% deposit upfront for the website design service. Should you cancel your order prior or during the design process, this deposit is non refundable. Client must pay upfront in full monthly fee for SEO services (minimum 24h prior to commencement of Search Engine Optimization). Should you cancel your order prior or during the SEO process, this amount is non refundable. There is absolutely no refund after any of our service has been paid in full. Use of this website is at your sole risk. All materials, information, and services are provided “as is”, with no warranties or guarantees of any kind. St. George Web Design does not give guarantees on rankings as this is against Google’s guidelines. No one can guarantee a #1 ranking on Google. Beware of SEO companies that claim to guarantee rankings, allege a special relationship with Google, or advertise a priority submit to Google. Client hereby agrees that the responsibility to check the performance, accuracy and quality of any web pages created by St. George Web Design rests solely with them. Client agrees St. George Web Design is not liable for absence of services as a result of illness or holiday. Client hereby agrees that St. George Web Design is not liable for any failure to carry out services for reasons beyond its control including but not limited to acts of God, telecommunication problems, software failure, hardware failure, third party interference, Government, emergency on a major scale or any social disturbance of extreme nature such as industrial strike, riot, terrorism and war or any act or omission of any third party services. – compatibility of Our Website with your equipment, software or telecommunications connection. – Our Website contains links to other Internet websites outside our power and control. You acknowledge and agree that we shall not be liable in any way for the Content of any such linked website, nor for any loss or damage arising from your use of any such website. – We are not liable in any circumstances for special, indirect or consequential loss or any damages whatsoever resulting from loss of use, loss of data or loss of revenues or profits, whether in an action of contract, negligence or otherwise, arising out of or in connection with your use of Our Website or the purchase of Services. – In any event, including the event that any term or condition or obligation on our part (“Implied Term”) is implied into these conditions by law, then our liability is limited to the maximum extent permitted by law, to the value of the goods or services you have purchased. – The above two sub paragraphs do not apply to a claim for personal injury. These Terms are the entire agreement between the parties regarding the use of this Website and the purchase of any services and supersedes all previous negotiations, commitments and agreements about the website and the services. These Terms and Conditions are effective from 1st January 2013 onwards, until further notice. These Terms are the entire agreement between the parties regarding the use of this website and the purchase of any services and supersedes all previous negotiations, commitments and agreements about the website and the services.